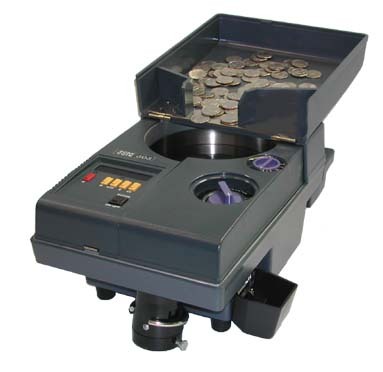 The most popular coin counter/sorter features multi-pass processing of coins at 2700 coins per minute. Begin with quarters, finish counting with dimes. Wraps or bags coins with 2 levels of memory. 1 yr warranty, built in bagger and includes wrapping tubes.